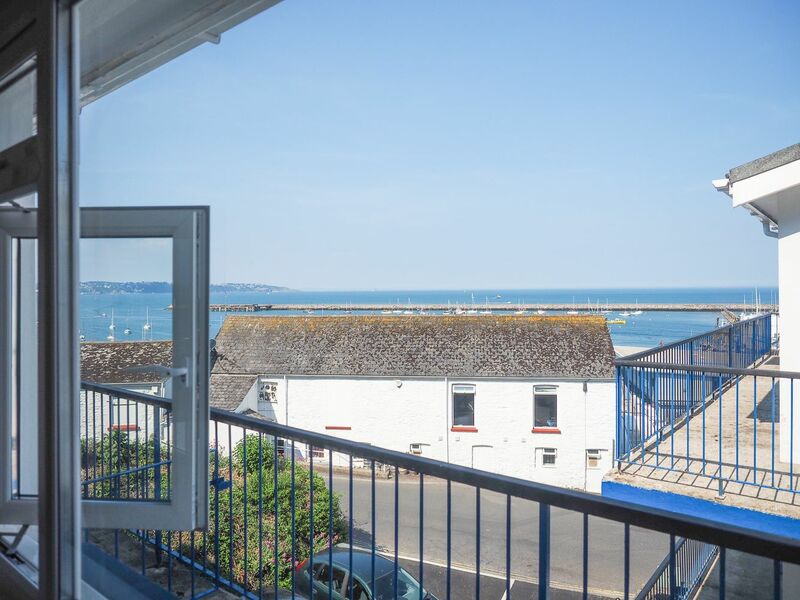 A smart, spacious 2 bed apartment with views over Brixham Yacht Club and Tor Bay. 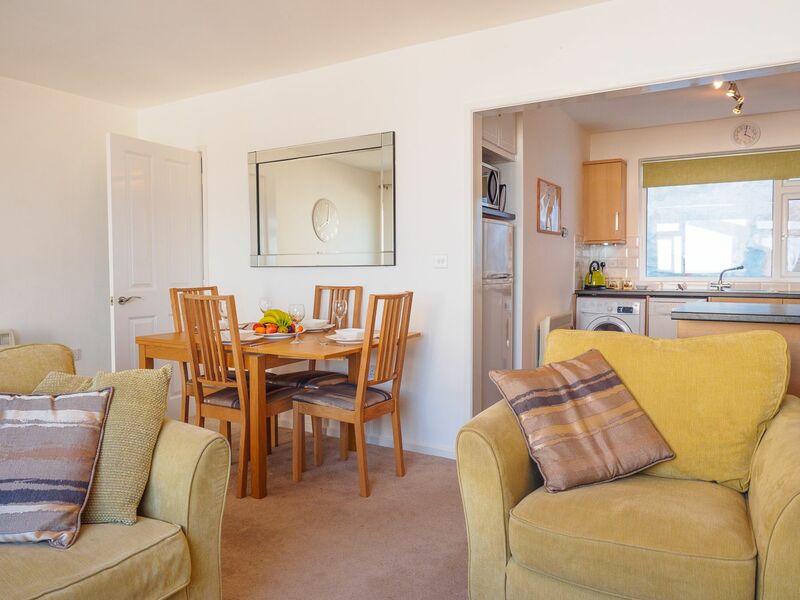 Your apartment is situated in a purpose built scheme in a central location on Overgang, its a 2 minute walk to Brixham's pretty harbour with its many shops, restaurants, cafes and bars. 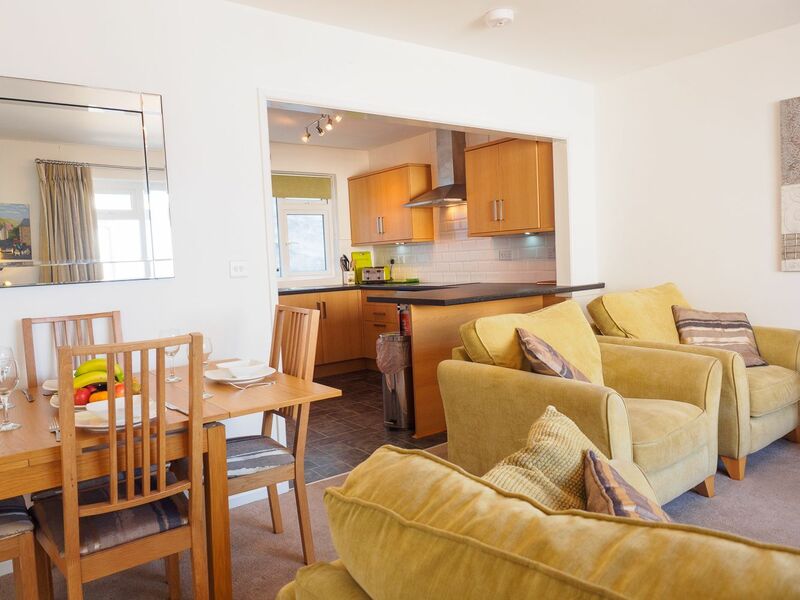 This smart top floor apartment makes an ideal base for a family or 2 couples to explore the area from. Brixham and its surrounds boast countless attractions, lovely coastal walks, secluded coves and beaches, cosy harbourside pubs and water sports galore - something to keep all ages happy. 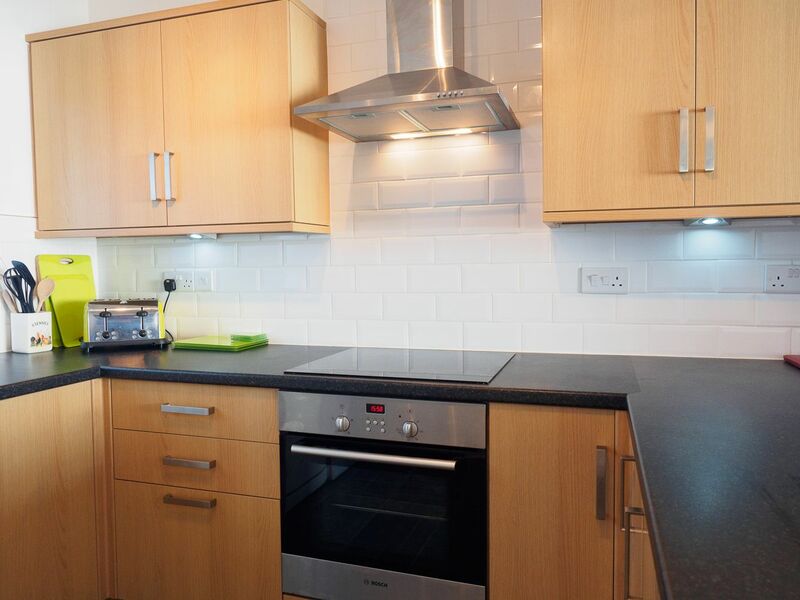 The accommodation briefly comprises: Front door opens to spacious open plan lounge kitchen diner. In the lounge diner, there is a comfy 3 piece suite, TV, coffee table, floor light and an extendable dining table with 4 chairs. 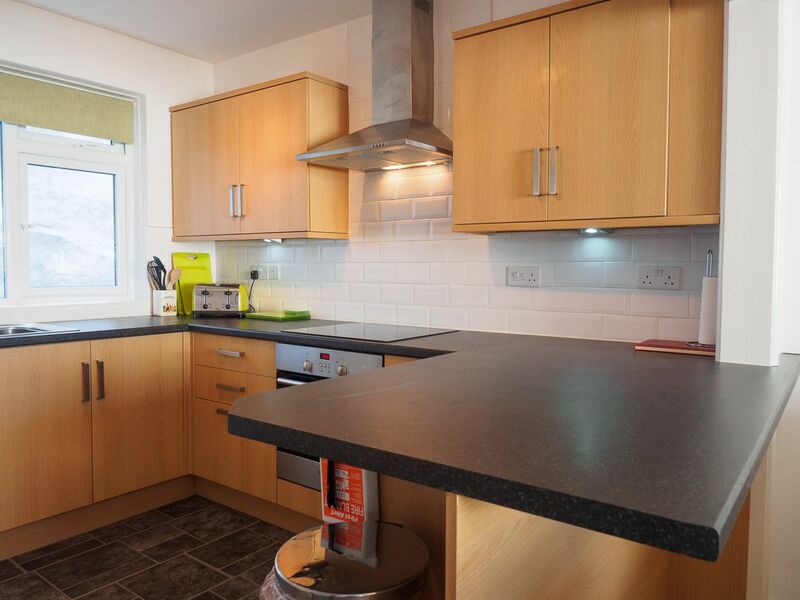 The modern fitted kitchen features a serve over island / breakfast bar, oven, hob, washing machine, dishwasher, microwave, large fridge/freezer and all utensils, glassware and crockery. 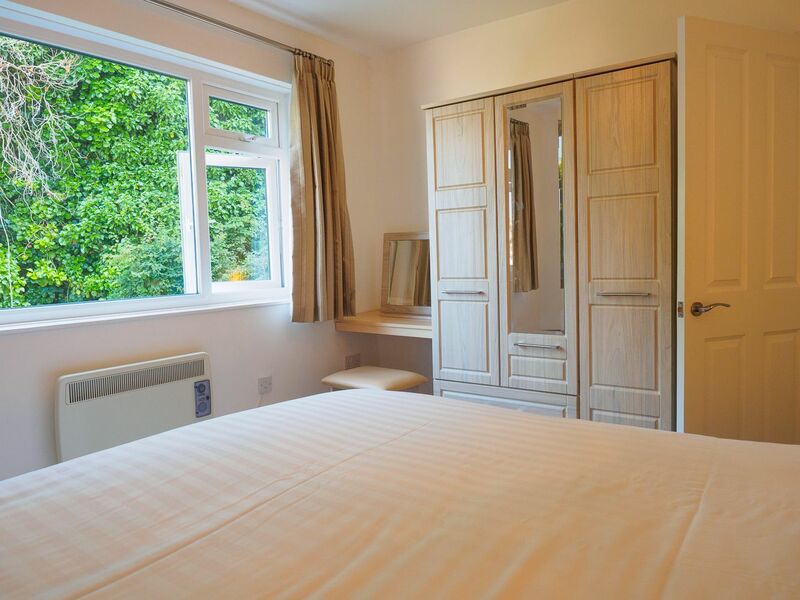 The hallway off of lounge leads to a large master bedroom on left, double bed, wardrobe, dressing table. 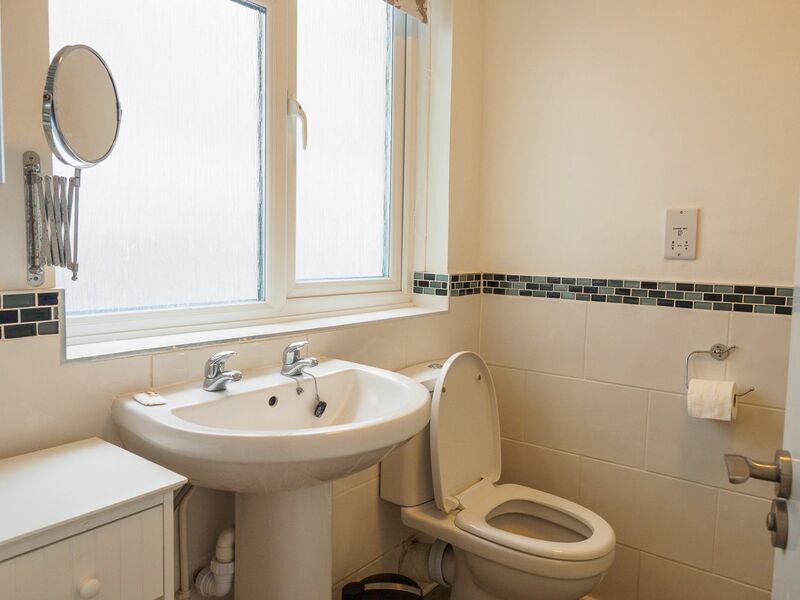 Fully tiled family bathroom with large walk in shower, wash basin & w/c. 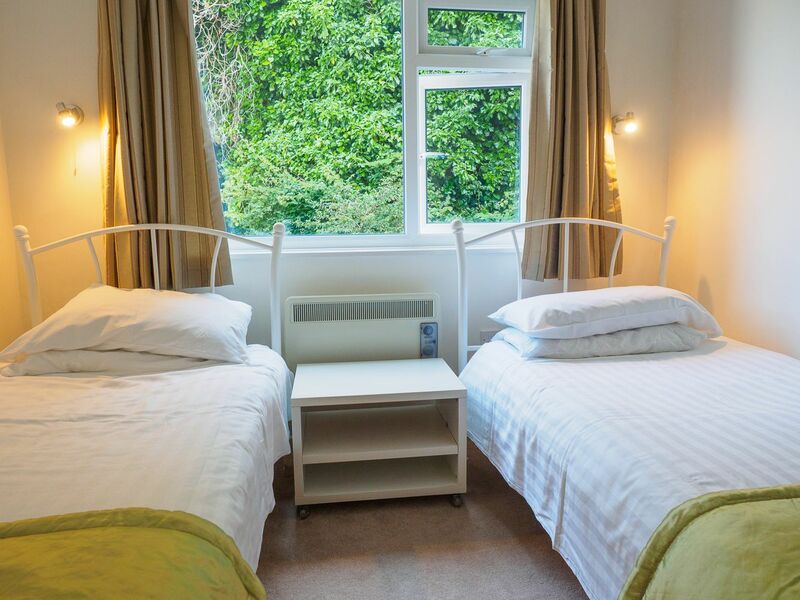 2nd twin bedroom with 2 single beds and wardrobe. The apartment is situated on the top (2nd floor) floor of the building and there are 2 flights of stairs to reach the top floor. Dedicated parking spaces for 2 car are located in the undercroft below the apartment. 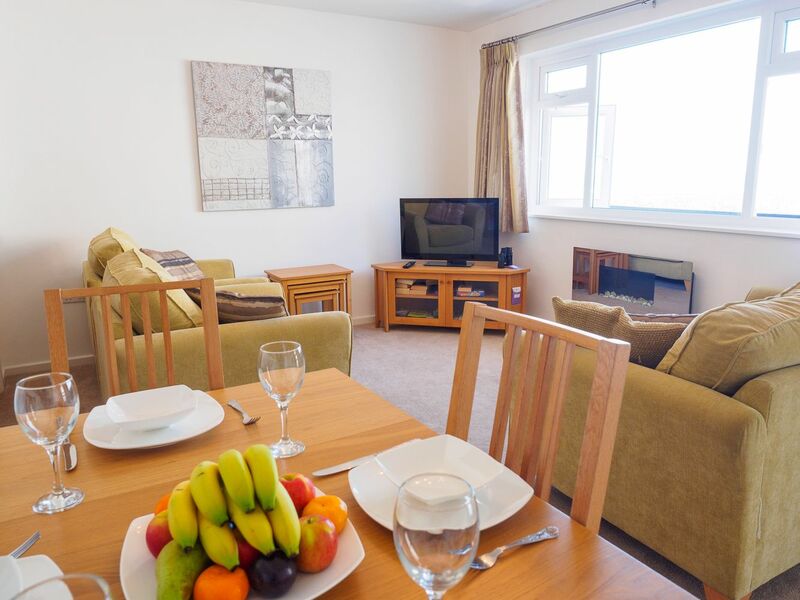 Dolphin Court is situated half way up Overgang opposite Brixham Yacht Club. The Yacht Club offers visitor memberships and is a great place for a drink or meal overlooking the yachts and bay below. There are quite a few steep steps to reach the property, so it is not suitable for guests with mobility issues. 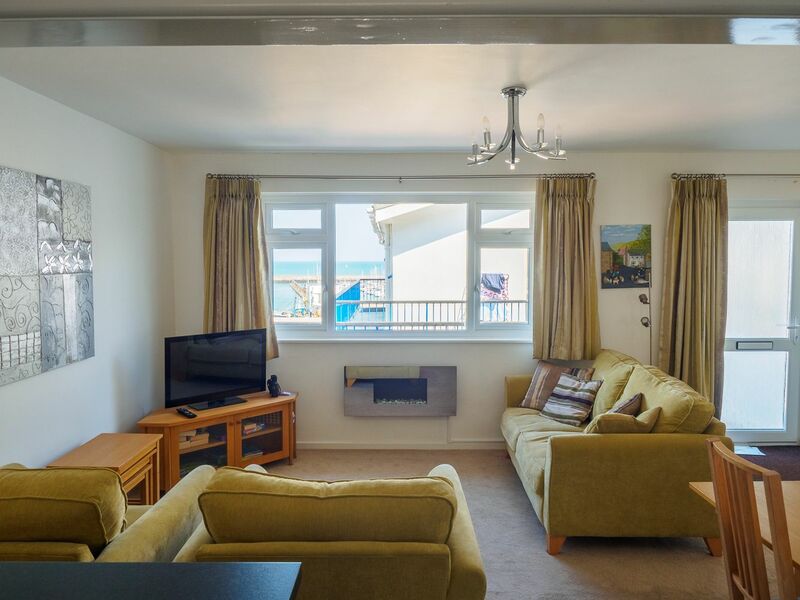 We stayed in Dolphin Court as our usual flat in Brixham had already been booked. 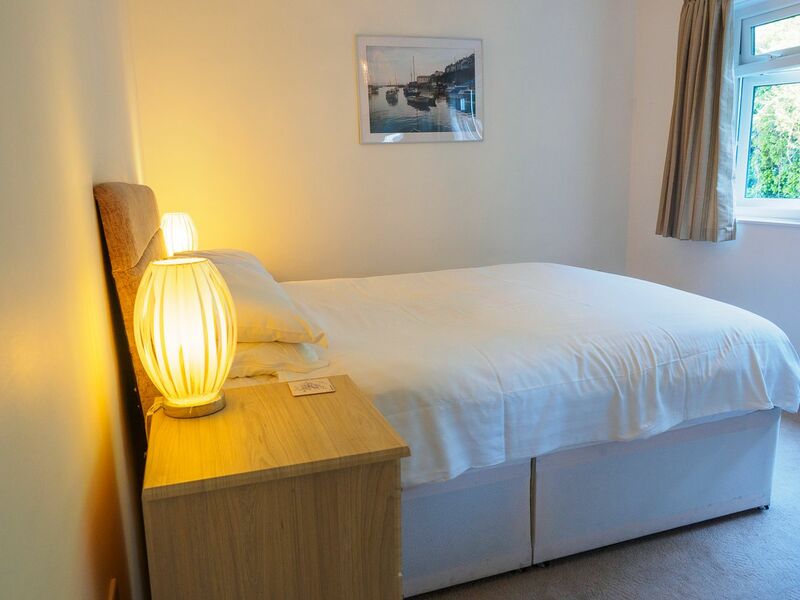 The flat was well fitted out and the bed was very comfortable plus there is a good sea view from the lounge area. It was a massive plus to have on site parking. We were lucky the weekend we stayed as there were only three other cars but if all the flats were being occupied I would suspect a number of the spaces would be difficult to get in and out of especially as you have to drive out on to road as it would be too dangerous to back out. We did not have any trouble using the stairs but occupants should expect to climb stairs every time they return to flat. There was only two of us but if there had been another couple only having one bathroom/toilet would have been a pain. It was also nice to be very close to the Town Centre. We thoroughly enjoyed our stay at 10 Dolphin Court, although we had to climb stairs every time on entry, the fantastic views over the Port area and Torbay were worth the climbs. 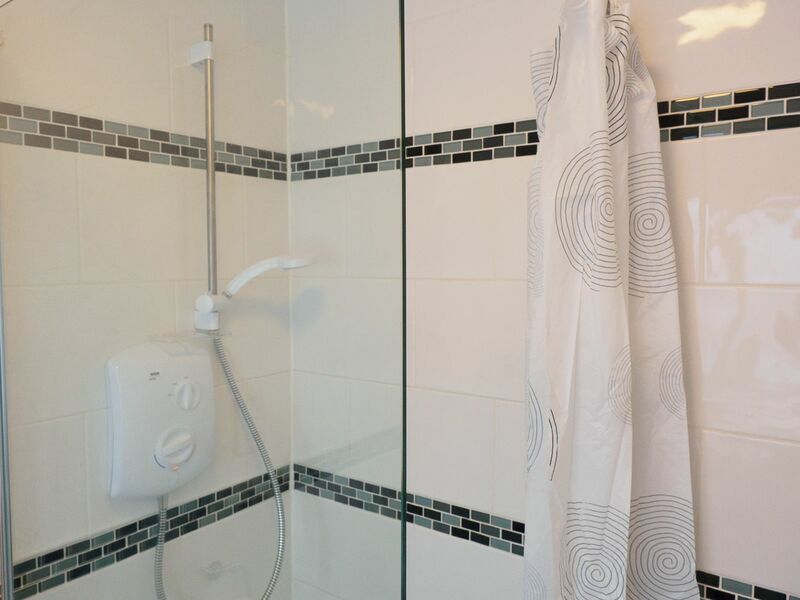 We also had no-one above our apartment so we were not disturbed by others.The apartment was fitted out with very good quality accessories and utensils and everything was very clean. 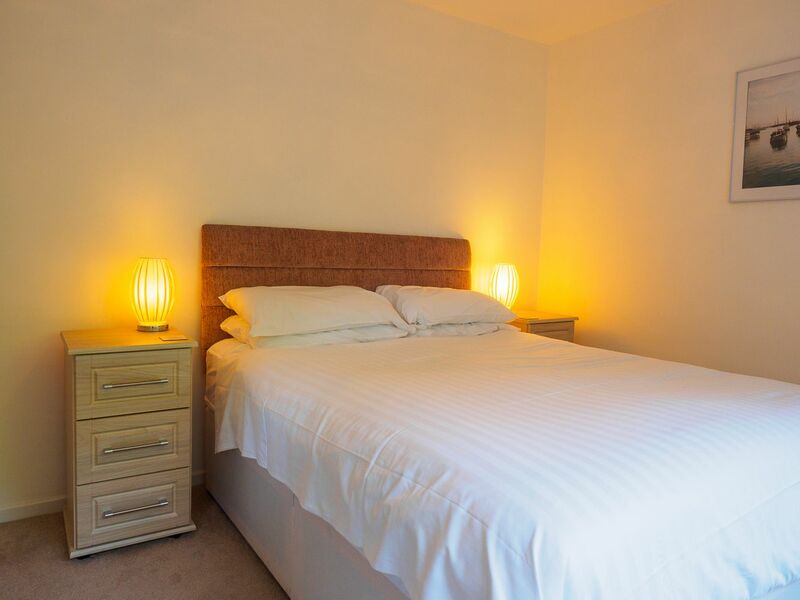 We often stay at places where the bed is not good and end up with a sore back, however, the king size bed here was first rate and we both enjoyed an excellent sleep every night. We love Brixham and like to visit in September this year was no exception as we thoroughly enjoyed our stay, we were able to relax, parking was easy and we were just a few minutes walk from the busy area of Brixham so we were able visit the; harbour area, shops and restaurants easily. Situated opposite Brixham Yacht Club on Overgang, its a 2 minute downhill walk to Brixham's pretty harbour with its shops, restaurants, cafes & bars.